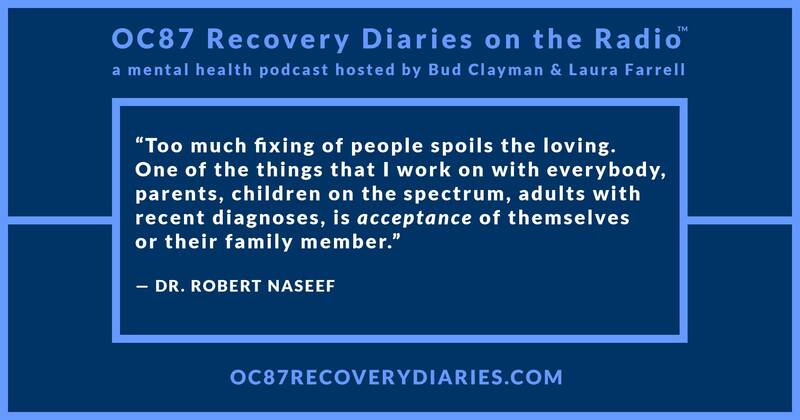 Dr. Robert Naseef, Asperger’s syndrome and autism psychologist, and author of the book, Autism in the Family: Caring and Coping Together, is an extremely courageous person. 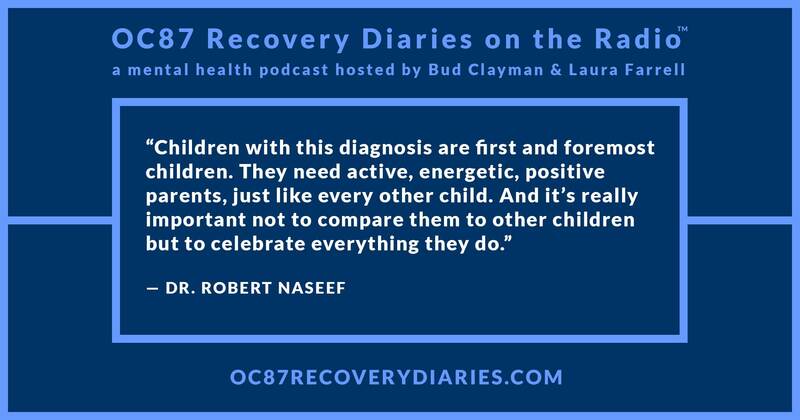 On the tenth episode of OC87 Recovery Diaries on the Radio, we learn that Naseef has a very good sense of what he can and cannot change. He will never be able to alter the fact that he has a thirty-seven year old son with autism, but he has been able to evolve in the ways in which he copes with his son’s disability. He says his son, Tariq, is happy most of the time, and Naseef has come to the realization that his pain is his own, not his son’s. This keen insight is one that gives him peace of mind. We wondered, during the interview, what Dr. Naseef’s world would have been like if his son had not been autistic? He humorously replied that he would have been the doting father who screams at umpires who make bad calls during little league baseball games! Clearly, this doctor is likeable, approachable, and accessible. He doesn’t pretend to have all the answers. But he does have a lot to say about the differences between Asperger’s syndrome and autism, the media’s portrayal of people with mental disabilities, and how parents can better support their children who are on the spectrum. As someone with late-diagnosed Asperger’s syndrome, I have a lot of difficulty knowing what I can and cannot change. Acceptance is very hard for me. 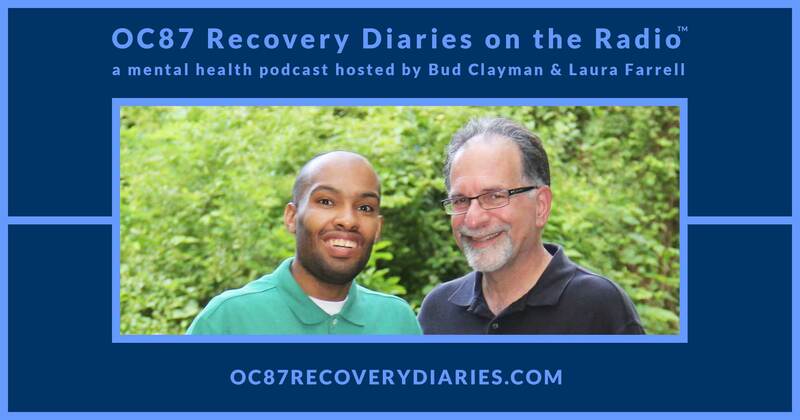 For those of you who are on the spectrum, or who are parents of someone on the spectrum, we encourage you to listen to this episode.